The Centre for Alternative Technology is a catalyst for innovation. Historians can’t agree about the 1970s. The year 1974 epitomises their dilemma. Musically, everybody was Kung Fu Fighting, Abba were enjoying their first hit and David Essex topped the charts. Everything was frivolous, frilly and fun. But there were problems, perhaps best represented in verse by The Wombles. Recycling was in. Why? By March 1974 OPEC’s restrictions on the sale of oil had driven prices up to crisis levels. This was the time of the first oil shock. In December there were new speed limits to slow drivers down and save petrol. Inflation was running at 17 percent. UK drivers were threatened by a new vehicle from beyond the iron curtain. It wasn’t a tank – it was a car. Lada cars appeared on British roads for the first time in 1974. Naturally, people were unsettled. The threats of shortages and mutually assured nuclear destruction appeared too great for our disco dancing force of Tobermorys, Orinocos and Uncle Bulgarias. Far away from the conflicting narratives of mainstream Britain, in a disused quarry, deep in the heart of Mid Wales, a group of visionaries gathered to find a way out. 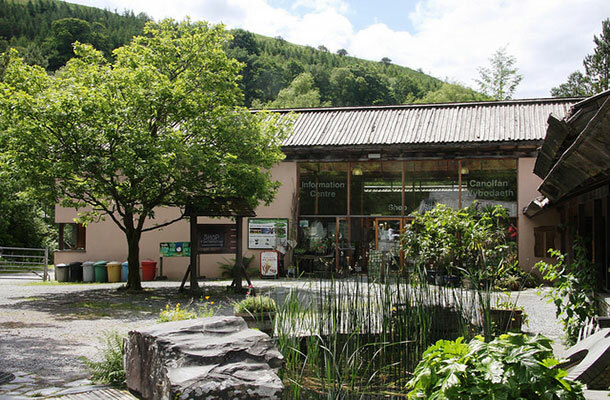 The Centre for Alternative Technology (CAT) opened its doors on April 23, 1974. The Centre’s purpose was ambitious. The plan was to use this hole in the ground between Corris and Machynlleth to change the way the world thinks. To transform the way business is conducted. To alter our education systems and to totally reconfigure society. Technology would be the catalyst – not in the form of a sputnik or a moonshot or even a Sodastream. But wormeries and compost toilets would be the weapons of social change. Sustainability, self-sufficiency and the belief that ‘small is beautiful’ would encourage us all to work with nature. Not against it. To describe the ethos of the new Centre, Peter Harper, long term staff member, coined a new phrase. This was ‘alternative technology’. 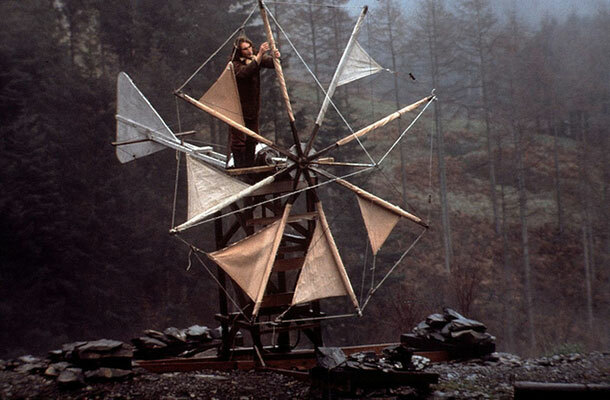 Early alternative – CAT’s ‘70s style Cretan Windmill. The forerunner of today’s wind turbine. For over forty years the Centre for Alternative Technology has been evolving. The part lobby group, part protest movement, part research institute, part day out in the countryside - CAT exemplified the value of ecologically sensitive development. It provided a home for visionaries and experimenters from around the world, people who might otherwise be regarded as cranks. CAT encouraged them to think, build and talk. As a result, innovations began to flow and the Centre explained and demonstrated them to ever increasing numbers. By encouraging, explaining and, most importantly, building, CAT turned ‘alternative’ into ‘actual’. Today, as well as championing the zero carbon Britain agenda, CAT’s Graduate School of the Environment now offers postgraduate MSc qualifications in Sustainability and Adaptation. Now CAT finds itself at the heart of mainstream business culture. Faced with the logical consequences of global warming, all businesses with mid to long term strategies have a ‘green’ agenda. The Welsh quarry has become a global centre because of its unique heritage and the contribution it makes to future developments. It is a place of pilgrimage for innovators. In the mid-seventies, the biggest windfarm in Europe was in farmer Edward Jones field, a short distance from CAT. Now wherever you live you can probably see one right now. This year, CAT MSc graduate, Nigel Bamford’s ‘Waterblade’, won Ecobuild’s Big Innovation Pitch competition, organised in association with Marks & Spencer. I now have international intellectual property protection for the Waterblade and we are actively exploring markets in the UK, Europe and globally. 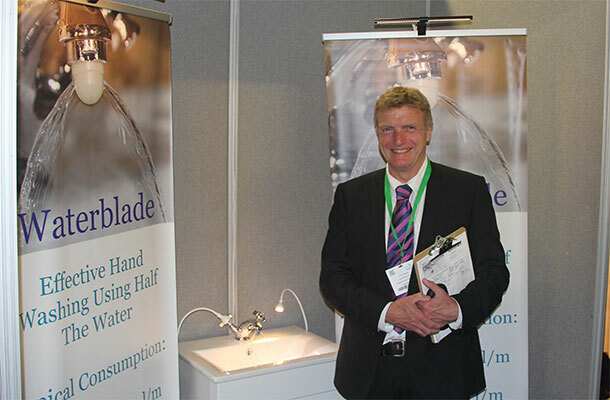 Waterblade at Brighton’s Eco Technology Show. 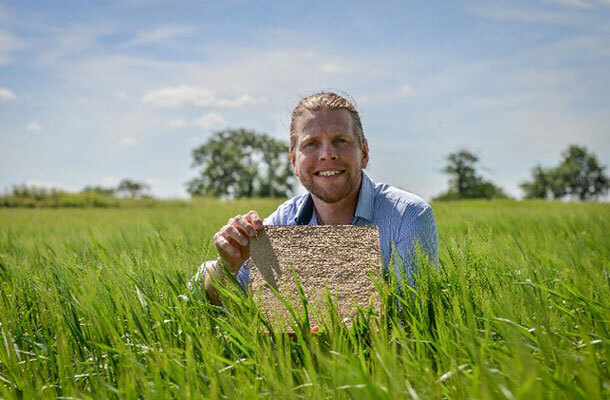 Adaptavate Ltd are another award winning UK based, green innovator which traces its IP roots back to the MSc at the Centre for Alternative Technology. This is where company founder Tom Robinson developed and tested his biocomposite building materials. In 2015 ‘Breathaboard’ (UK TM 3096784) was selected as Kevin McCloud’s Green Heroes for Grand Designs. The company won the Green Ally Award in Berlin and Robinson was named Shell’s LiveWIRE Young Entrepreneur of the Year. Adaptavate’s Tom Robinson and his ‘Breathaboard’. Since April 1974 the Centre for Alternative Technology has championed radical, green thinking. Its unique ability to combine ideas from the cutting edges of both social and scientific research have enabled it to champion and develop a host of technological and social innovations. Innovators today who want to turn a profit from green technology should take a trip to Machynlleth. Before you can create commercial green products, you need to develop them. CAT is the place to discover whether your alternative works.